Warm greetings from the Milenkovic family. After a longer period of time we are writing to you with the news on what is happening with us. Sara and I have been back home since a few days ago. 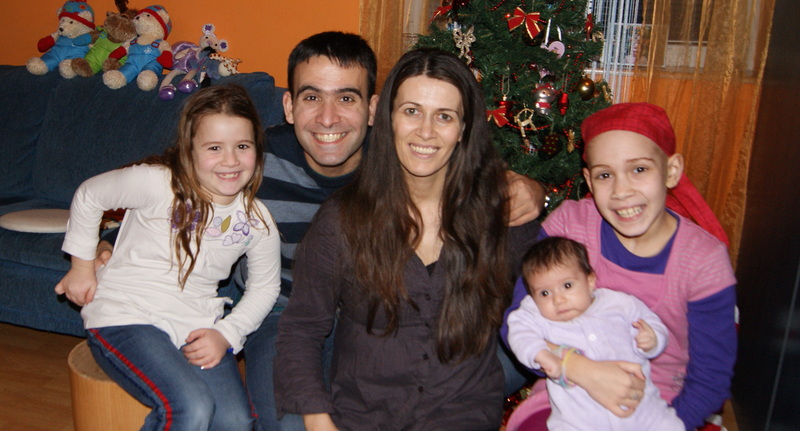 We are thankful to God that the family is reunited after a log time, together with the new member, Sofija Lena. The two months of our life in America passed, and how was it? It was good and hard and sad and joyful. There were many situations in which we could only pray to God to give us strength to endure, while thanking Him for bringing us to a place like St. Jude hospital. Sara had great care there, and other life conditions, and a possibility to keep enjoying the things that make a child’s life. We are thankful to our brothers and sisters there who made an effort, visited us and cared about us, making us feel at home as much as it was possible. Because of the side effects Sara would sometimes feel very weak and exhausted, eating poorly, losing weight, but what she’d never lose was her cheerful spirit and courage to cope with everything. In these few months she has become a more mature person. It even seems that she took the hair loss easier than we did. Other than all of that, we tried to life lives as normally as possible. 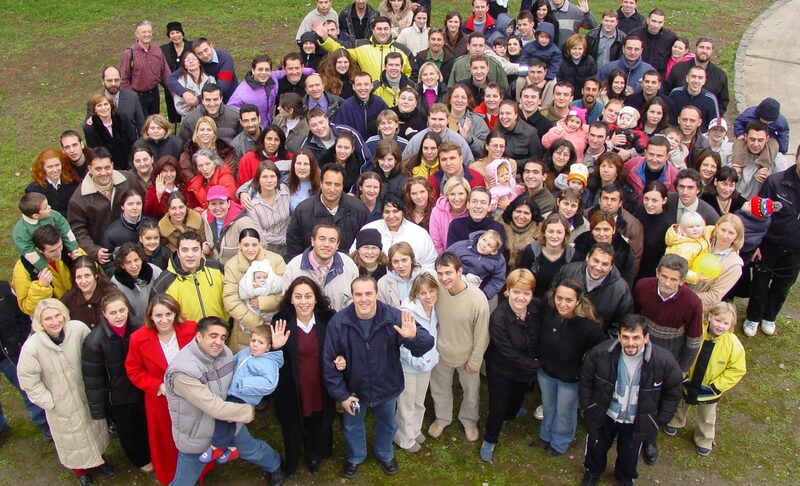 We would go to church regularly and meet many wonderful people. Sara enjoyed her Sunday school classes. We would go to the Zoo, shopping, watching cartoons and skyping with our family back home every day. We are staying home four weeks altogether, that is, until February 3, where Sara’s chemotherapy will start, which would last about 5 months. Sara is in a category of high-risk patients, which is why she was taking high dosages of radiation, and it is going to be the same with the chemotherapy. Our battle with the cancer has only started. We believe God that He could end it today, but we trust that same God that He knows all our days and our future. We know that sometimes sufferings which seem so painful to us bring a purpose which is so much higher and more wonderful. How did God see His own Son’s pain and death? Could He have saved Him from the cross and death? Who can listen to a child’s cry and not respond to it, or watch His own child’s death, being able to stop it, and still not do it? It is God, because He knew that precisely this death would bring blessings to mankind through the millennia. Today is Sara’s 9th birthday. We rejoice that God gave us Sara to have her through all these years and that she is with us. Sara bought a bracelet to her mother, on which it is engraved that every day is a gift from God. This is true for both her and me and all of us. If there are a few more days ahead of us to live, it is a gift from God, and if not, again, it is all from Him. We would like to have Jaroslava, Jana and Lena join us in America at the end of February or the beginning of March. There are many things to arrange about visas, traveling, accommodation there. Please pray for all this to be possible so that we can all be together during this long and probably more difficult period for Sara. Things at HUB are going great. Last semester finished and 5 students finished their one year long education at the school. The rest are continuing their education and in a few days only, a couple of other students will join them. A youth camp at HUB finished yesterday, where we were able to be their hosts. What a privilege it is to serve others! Thanks so much that you keep praying and supporting the ministry of HUB and the Bible school. Thank you for praying faithfully for us as a family and for asking us about the news. Thanks to all those of you who sent us emails, letters, presents, greeting cards etc. So much care and love, from those we never even met. We usually were not able to respond and personally thank you for it, but we do thank you now wholeheartedly. May God help us all in this New Year to have Him closer and more dear to us than ever. My dear Friends, Greetings in the precious name of Jesus! Thank you so much for this lovely letter and the good news it contains. I do pray for a real sense of the Lord’s touch upon each of your lives as you continue this journey of healing and discovery. May the Lord’s blessing be upon you all. Yours in His joy, Clive. Thank you for your beautiful email. As we worship God in these days, sometimes in pain and in crying … we worship in a way that will not be possible in heaven, for in heaven “God shall wipe away all tears … and there shall be no more .. crying, neither shall there be any more pain.” (Rev21). As we worship God in these days it is like a holy incense which rises before His throne, this is so precious in His sight. This incense can only arise in these days and will not be possible when we are with Him in heaven. I pray that day by day in Him you will find new and deeper, and even more intimate worship of God as you pour out your love to Him. Your love and worship of God rises to Him like a holy incense of eternal significance. “And I saw a new heaven and a new earth:for the first heaven and the first earth were passed away … Behold, the tabernacle of God is with men, and he will dwell with them, and they shall be his people, and God himself shall be with them, and be their God. And God shall wipe away all tears from their eyes; and there shall be no more death, neither sorrow, nor crying, neither shall there be any more pain:for the former things are passed away.” Rev 21v1-4. Previous PostPrevious Vesti od Milenkovica – januar 2013.